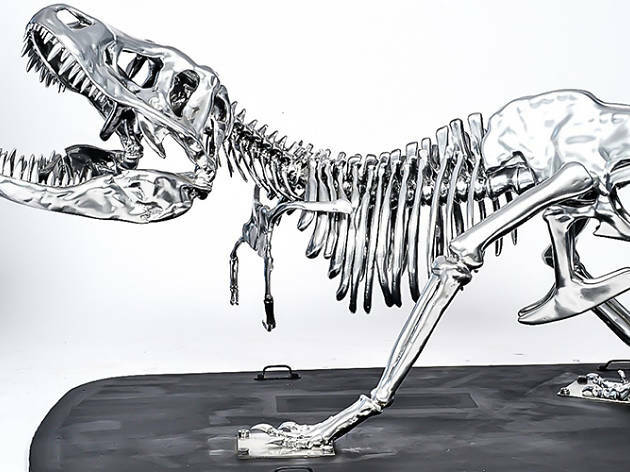 Phillipe Pasqua's chrome-plated monuments have mesmerized audiences around the world. 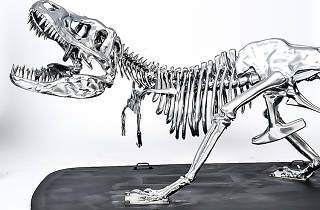 He transforms dinosaur skeletons from artifacts to works of carefully orchestrated art, while his life-size olive trees embody the grotesque, juxtaposing skulls against the biblical tree of life – a play "between suffering and triumph, between life and death, between despondency and hope – of a tree, of a people, of a country," and all finished with a uniform chrome-plating. As Pasqua bounces between Paris and Portugal, the exquisite contemporary mastermind gains more and more acclaim as he rises to be one of (if not) the most important contemporary artists in France. Starting June 8, The Zemack Contemporary Art (ZCA) Gallery will have the honor of housings his works. Paired with Pasqua's chrome collection, the gallery will feature a new series including oil paintings, a series of photographs, and various works in mixed media.